Many people find the terms niche, indie, and artisan to be confusing, partly because brands use them loosely more for marketing than for clarification. As many more brands have entered the market, the meanings of these terms have become diluted, and small brands have looked for more specific words to describe what they do. 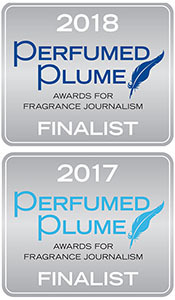 I’m writing this post from the perspective of the fragrance industry, but these terms are, of course, used for other industries as well (indie music and indie films, for example, refer to music and films produced outside the mainstream means). Designer: Designer perfumes are those made by major fashion and beauty houses such as Chanel, Dior, Givenchy, Gucci, Prada, YSL, and Armani. These products are mainstream and sold through mass-market channels such as department stores and Sephora. Indie: The word indie describes brands that are niche but are smaller, independently owned brands. This category has a wide range of brand sizes though, and some indie companies can be fairly large. An example of a smaller indie perfume brand is Zoologist; the brand uses outside perfumers to design and produce the perfume, but the scents are bottled in-house (as of this writing) and the brand owner is involved in all phases of the company. The Institute For Art and Olfaction defines an indie brand as one that employs an external perfumer or fragrance house to initiate and create their blends, with creative direction from the perfume brand. They also stipulate that the brand is either privately-owned or owned by another privately-owned company with no more than four fine fragrance holdings in its brand portfolio. Artisan: This word seems to engender the most disagreement. 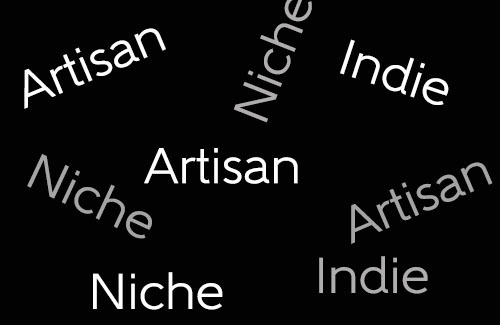 Artisan is a subset of indie that refers to brands that produce artisan-made products. Most people define artisan to be products that are handmade in-house rather than produced in a factory. Indie companies may have their scents formulated and/or batched and bottled in labs rather than doing it by hand, and that takes them out of the strict definition of artisan. Being artisan is not a guarantee of quality, but the best artisan products are original and creative, and they contain a piece of the creator because they are personal. Being artisan means that quantity will be limited because the products are not mass-produced. The Institute For Art and Olfaction defines an artisan perfume as one for which the perfumer wrote the initial formula, owns or co-owns the brand that is releasing the perfume, and retains legal ownership of the perfume formula (if a formula is written in whole or part by a lab, then the lab owns it). I don’t have the answers, but I’m taking things day by day with my own artisan brand, trying to steer in the direction that my heart says is right for me. Terminology is important for defining things like award categories, but terminology is not as important to the consumer. People buy what appeals to them, so indies and artisans need to produce the best quality, most unique and interesting products they can regardless of the labels used to categorize their brands.